Silver is a noble metal, and on the back of it entire empires have been formed. While it was rumors of gold that brought conquistadors to South America, it was silver that made them wealthy. With such a history, it is one of the few elements on Earth worthy to be the medium in which the Vienna Philharmonic Coin was struck. 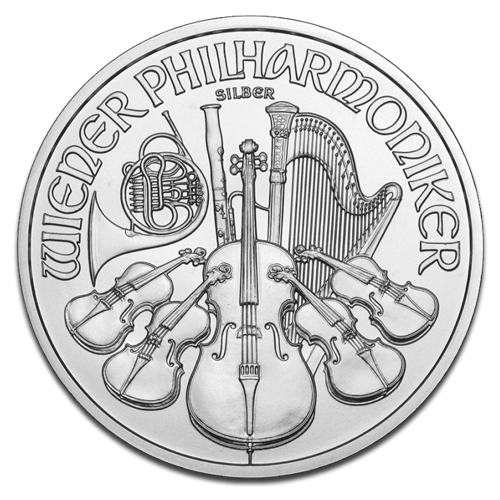 The Austrian philharmonic silver coin was designed to honor the establishment of the preeminent orchestral group in the world, and is a fine piece of art worthy to be added to your collection, and an investment silver coin. This coinstands apart as the only one designed to commemorate the Vienna Philharmonic Orchestra, and the only bullion silver coin ever to be struck in Euro denominations. With its delicate lines and intricate engravings, it stands apart as an incredibly example of the engravers art. 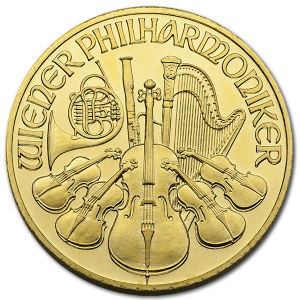 On the obverse it bears a representation of the Musikverein Golden Hall, while on the reverse you can see expertly rendered versions of the orchestral instruments that are integral in what makes the Orchestra famous. 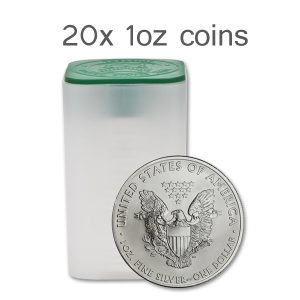 This 38mm coin weighs in at a respectable 1 Oz of .999 fine silver, and is immaculately smooth along its 3.2mm edge. 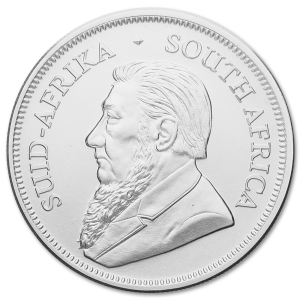 Thomas Pesendorfer stood as the Chief Engraver of the Austrian Mint when this coin was first envisioned, and it was through his hand that the proper amount of elegance and prestige was wrought into its design. 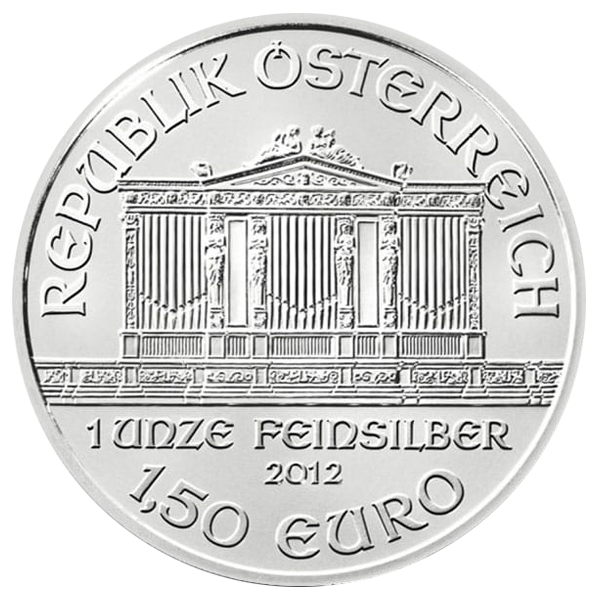 So skilled was his design of this most notable of Austrian silver coins that it was rewarded for its excellence in design, and led to an increase in the prestige and respect given to the works of the Austrian mint. 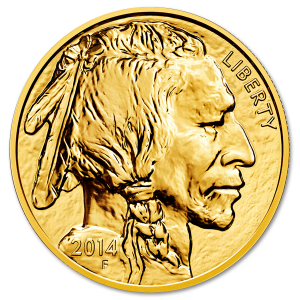 So it is that that Austrian mint is recognized as a world leader among mints, and that it became available to be a prized and valuable part of your family’s investment. For all things there is a place that is considered the heart of its craft, and for Philharmonic Orchestras that place is the Musikverein Golden Hall. Its prestige comes from the establishment of the pre-eminent VPO, and the strident measures many will take to be counted amongst its august members. It takes three years of performing for other orchestras and ballet companies before one can even be considered for membership.